Arun council, West Sussex; caused by the death of Conservative councillor Dougal Maconachie. His local government career started in the mid-1990s when he was elected to Bognor Regis town council, and he had been an Arun councillor since 2007, serving as Chairman of the Council in 2014-15. His death came just four months after his wife Jacquie, who had also been an Arun councillor, passed away. First, let’s make sure we have the right Marine ward: there are three of them in West Sussex. This is the western of the three, the town centre ward for Bognor Regis. The sunniest town in Britain according to official weather records, this corner of Sussex by the sea was developed into a resort in the eighteenth century by the property developer Sir Richard Hotham, whose name is commemorated by an electoral ward elsewhere in the town. As with many seaside resorts, the town centre is a deprived area which has seen strong population growth in recent years thanks to immigration from eastern Europe: Bognor’s Marine ward is in the top 40 in England and Wales for population born in the new EU states, and also in the top 60 for private renting – at 49% of households, an unusually high figure for a town without a university. According to a report of a hustings last week, regeneration of Bognor is a hot topic in the by-election, with Arun council controversially planning to turn a local car park into a “linear park”. Since 2007 Bognor’s Marine ward has split its two seats between independent councillor Jim Brooks and the Conservatives. Maconachie took over as the Conservative councillor in 2015 having represented Barnham ward before then. In that 2015 election – the first on the present ward boundaries – Brooks topped the poll with 31%, having not been opposed by any of the other parties; the Conservatives had 26%, UKIP 24% and Labour 19%. 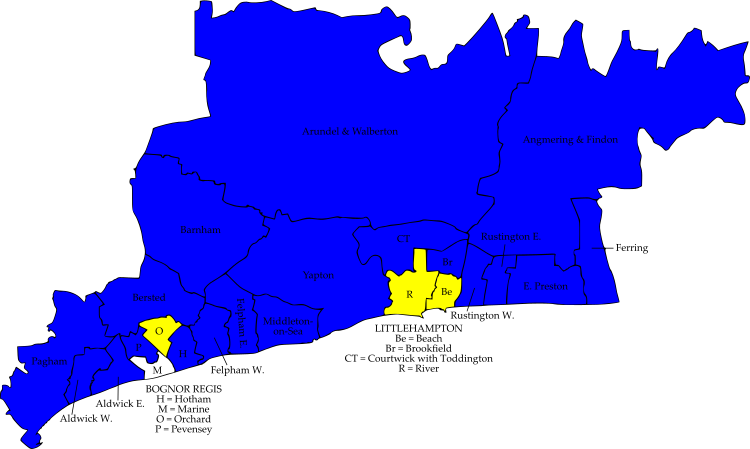 In last year’s West Sussex county elections the Conservatives gained the local county division, Bognor Regis West and Aldwick, from the Liberal Democrats; on the other hand, the Lib Dems gained the by-election in Aldwick West ward last November after Dougal’s wife Jacquie Maconachie died, and they have won Marine ward before (in 2003). Defending for the Conservatives is Kate Eccles, who fought Bognor Regis East in last year’s county elections. Bognor town councillor Steve Goodheart is standing as an independent candidate: a signwriter by trade, he is the founder and organiser of the town’s Rox music and arts festival. As so often seems to happen these days, there is no UKIP candidate. The Labour candidate is Alison Sharples, who fought the county elections here in 2017 and chairs the party’s Bognor branch. Completing the ballot paper is Liberal Democrat Matt Stanley, manager of the local branch of the Nationwide building society. Chichester council, West Sussex; caused by the resignation of Liberal Democrat councillor Sandra Westacott due to pressure of work. She had served since 2015. We continue our journey west along the south coast. 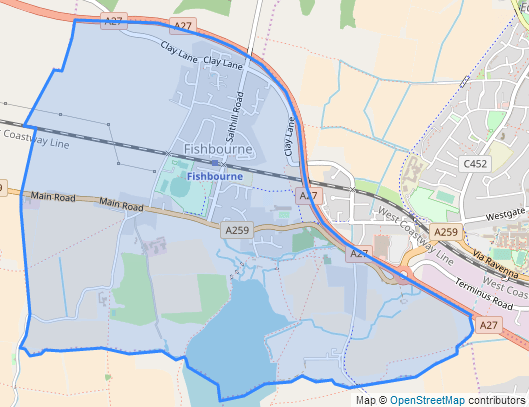 If Bognor is a relatively young town, Fishbourne is an old one: the main local attraction is Fishbourne Roman Palace, dating from the first century AD and described as the largest residential Roman building discovered in Britain. The palace burnt down around AD 270 and Fishbourne, as a settlement, never really recovered from that; it’s now a sleepy village just to the west of Chichester, with a railway station on Southern’s West Coastway line linking it to that city and giving the ward a commuter demographic. Fishbourne has voted Liberal Democrat at each election this century, with Westacott in her first term having been elected in 2015. That year she beat the Conservatives 51-37. The ward is part of the Chichester West county division, which takes in solidly Conservative areas and was safe for that party in 2017. Defending for the Liberal Democrats is Adrian Moss, who is seeking to return to the council after seven years away: he first served on Chichester council from 1987 to 1992 and was ward councillor for Fishbourne from 2003 to 2011. The Conservative candidate is Libby Alexander, who has worked as a teacher, for the Campaign to Protect Rural England, and overseas for international organisations. Completing the ballot paper is Kevin Hughes for Labour. West Dorset council; both caused by the resignation of Liberal Democrat councillor Ros Kayes. She had served on West Dorset council since 2007 and on Dorset county council since 2013 and, was Mayor of Bridport in 2016-17. We finish our progression along the south coast in Dorset in the town of Bridport. A rather isolated centre in western Dorset, Bridport was important enough in Saxon times to have its own mint, and is still recognised by the ONS as the centre of its own Travel to Work Area. Bridport’s traditional industry is ropemaking, and the town’s unusually wide main street – where the ropes were dried – is a legacy of that. Rope and nets are still made in Bridport today, and other industries include brewing and valves together with tourism and services for the local area. One of those services, butchers R J Balson and Son, is recognised by the Institute for Family Business as the UK’s oldest continuously-trading family business, with a line of butchers going back to 1515. 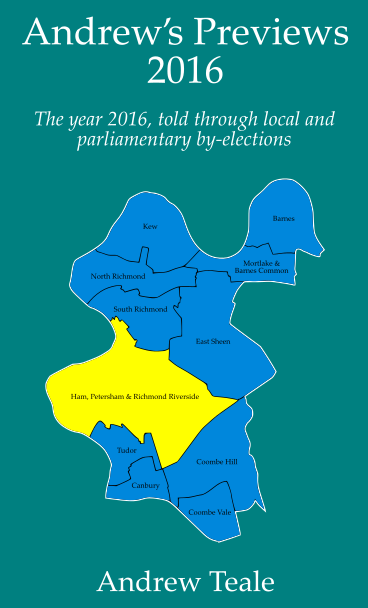 From 2003 to 2011 Bridport North ward carved up its two seats between the Lib Dems and Conservatives, with Ros Kayes taking over on the Lib Dem side in 2007 and developing an extremely large personal vote. 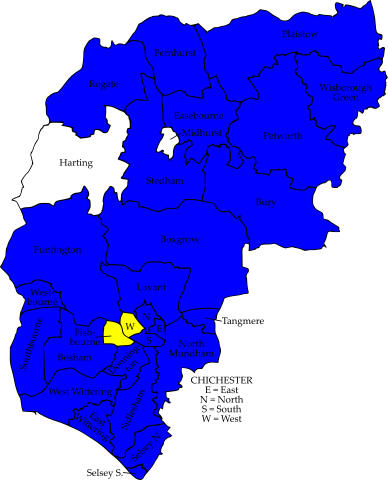 Boundary changes for the 2015 election added the parish of Allington and a third councillor to the ward, and that was to the benefit of the Conservatives: although Kayes topped the poll with 39% she polled over twice as many votes as her running-mates, and the 31% for the Conservative slate easily delivered them the other two seats. The Greens came in third with 17%. 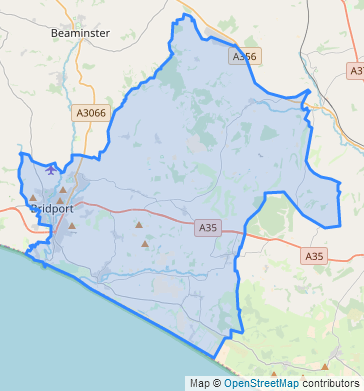 Bridport is too large for one Dorset county councillor but not large enough for two, resulting a two-seat Bridport county division which sprawls over 20-and-a-bit parishes in western Dorset. One of its electors is Billy Bragg, the notably left-wing musician, who lives in the parish of Burton Bradstock. In the 2017 county elections – the first on the expanded boundaries – this was essentially neck-and-neck between the Lib Dems and Conservatives; Kayes topped the poll with 38%, the Conservative slate polled 37% and won the other seat, and the Greens polled 12% to pip Labour for third place. Without Kayes’ personal vote these will be difficult defences for the Liberal Democrats. Defending the county seat for them is Dave Rickard, a West Dorset councillor for Bridport South ward, Bridport town councillor and Mayor of Bridport in 2012-13. The Conservatives have selected their unsuccessful candidate from last year Mark Roberts, West Dorset councillor for the rural Netherbury ward. Standing for the Greens is Kelvin Clayton, a Bridport town councillor who fought West Dorset in last year’s general election. Completing the county ballot paper is Rose Allwork for Labour. At West Dorset district council level the Liberal Democrats have selected Sarah Williams to hold Bridport North; she is the leader of Bridport town council, and was runner-up in Bridport South in the 2015 district elections. Standing for the Conservatives is Derek Bussell who is straight off the campaign trail: he won a by-election to the town council last November. The Green candidate is town councillor Julian Jones. Phyllida Culpin, the Labour candidate, completes the district ballot paper. West Somerset council; caused by the resignation of councillor Tom Hall, who was elected as an independent but had since joined the UK Independence Party. He had served since 2015. We stay in the West Country, but transfer from its south coast to its north coast. The major town of the West Somerset district, Minehead has an economy is based on tourism – one of the three remaining Butlins camps is here – and out of season as we are, Minehead’s a sleepy place. Despite the name, this is the south-western of the four wards covering the town’s built-up area, up on the hills along the Parkhouse, Periton and Porlock Roads. The area south of Periton Road (the A39) is undeveloped and mostly part of the Exmoor National Park. Minehead’s politics may not be quite as weird as the Monty Python sketch might suggest, but they’re certainly fragmented. West Somerset is one of the UK’s smallest local government districts by population, and that leads to tiny wards and big personal votes. This ward took on its current boundaries in 2011 and in that year the Conservatives and Labour tied for first place on 520 votes each. Luckily, with two seats available, they were both elected. In 2015 Labour lost their seat to Tom Hall; shares of the vote were 37% for the Conservatives, 28% for Hall and 18% for Labour. 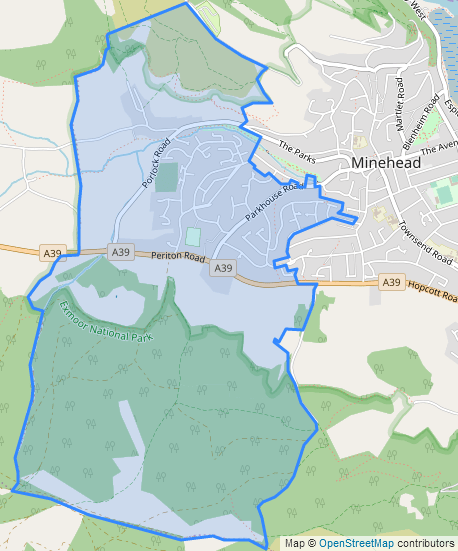 At county level Minehead forms one division, which voted UKIP on a low share of the vote in 2013 but was a convincing Tory gain in 2017. This is the first local by-election in Somerset since then. With no defending independent or UKIP candidate we have here Britain Elects’ favourite type of by-election. Yes, it’s a free-for-all! Possibly best-placed is the Conservative candidate Gary Miele, a Minehead town councillor and director of a cleaning services company. Maureen Smith, Labour district councillor for the ward from 2011 to 2015, wants her seat back and is standing again. Completing the ballot paper is Liberal Democrat candidate Benet Allen, a helicopter pilot. Torfaen council, Gwent; caused by the resignation of Labour councillor Matt Ford who is taking up a job with the council. He had served only since May 2017. From the edge of one National Park to another. For the first Welsh local by-election of the year we travel across the Severn estuary to Gwent, and to the village and council estate of Trevethin which lies just outside the Brecon Beacons National Park. Trevethin clings to the eastern slopes of the Afon Lwyd valley, and in the old parish named after the village a town grew up during the Industrial Revolution, harnessing the power of the river and the coal and iron ore in the ground. That was Pontypool, which developed into an important metalworking (particularly ironworking), coalmining and railways centre. Those industries are of course gone, and Trevethin is one of the most deprived parts of Wales. The division makes several top 100 lists in England and Wales from the 2011 census: 40th for those born in the UK (98.6% of the population), 46th for those of no religion (45.9% of the population), 57th for routine occupations (24.5% of the workforce), and 68th for long-term sickness or disability (11.7% of the workforce). 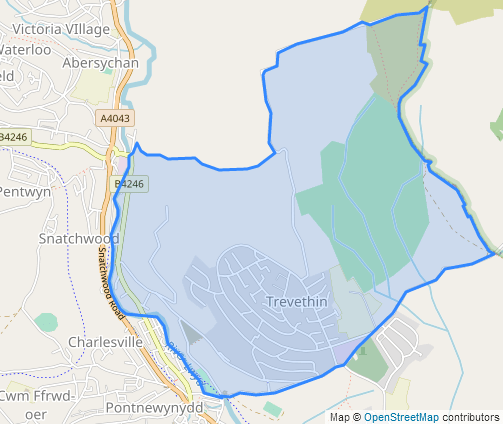 Trevethin division has existed since 1987 when it was a ward of the old Torfaen borough council. It took until 1999 for anyone to oppose the Labour slate here, and it took until 2017 for Labour to lose one of the division’s two seats to an independent candidate. Shares of the vote that year were 51% for Labour and 49% for the independent slate. Defending for Labour is local resident Emma Rapier, an NHS worker for 17 years according to her Twitter. Two independent candidates are having a go: Brynley Parker is a Pontypool community councillor, teaching assistant and manager of the Monmouthshire County rugby team, while former Torfaen councillor Frederick Wildgust is seeking to return to the council despite resigning in disgrace in 2011 after allegations of cyberbullying were upheld by a tribunal. Completing the ballot paper is Andrew Heygate-Browne of the Green Party. 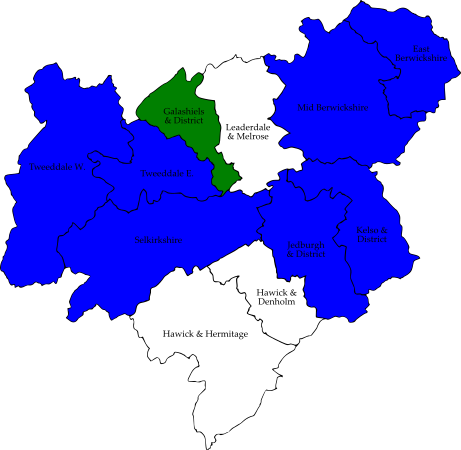 Hertfordshire county council; caused by the death of the Leader of the Council, Conservative councillor Robert Gordon, at the age of 65. He had been Leader of the Council since 2007 and was first elected in 1989, representing Nascot Park division in Watford from 1989 to 1997 and again from 2001 to 2009, and Goffs Oak and Bury Green since 2009. Before becoming leader Gordon had held cabinet posts for education, children’s services, and resources and performance; and in 2012 he was appointed CBE for services to local government. As happened last week, our single London-area by-election is taking place just outside the Greater London boundary. This time we’re off the northern edge of the boundary in rural Hertfordshire. This is a rather socially divided division: Goffs Oak, the home village of Victoria Beckham, is a rural part of the London commuter belt, whereas Bury Green is part of the town of Cheshunt and distinctly more downmarket. Not that that social division affects the election results: this is a safe Conservative area. 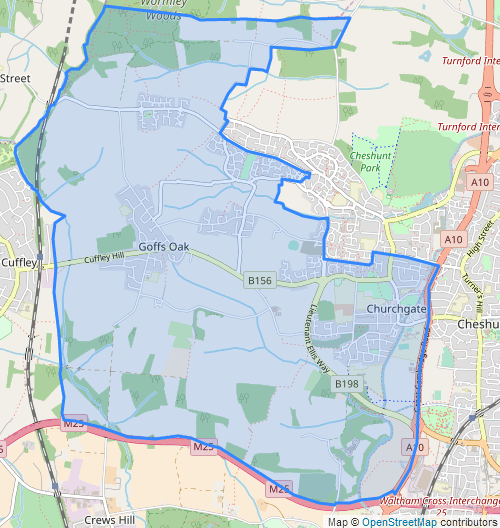 In 2017 – the first contest on the present boundaries – the Tories beat Labour here 65-18, and the Conservatives are similarly untroubled at Broxbourne council level (although UKIP came close in Rosedale and Bury Green ward in 2014). Defending for the Conservatives is local resident Lesley Greensmyth, a long-serving swimming teacher and Mayoress of Broxbourne in 2015-16; her husband Martin is a Broxbourne councillor for Rosedale and Bury Green ward. Returning from the 2017 election is Labour candidate Selina Norgrove, who has since fought the local Broxbourne constituency in the 2017 general election. Completing the ballot paper are David Payne for the Liberal Democrats and Sally Kemp for the Green Party. Boston council, Lincolnshire; caused by the resignation of Conservative councillor Maureen Dennis, who had served since 2003. She was the Mayor of Boston in 2009-10 and twice served as Deputy Mayor. It’s time to travel north for our three by-elections in the Midlands, and we start on the east coast. Old Leake and Wrangle – now, there’s a ward name to set the imagination racing – covers two villages off the Wash coast to the north-east of Boston on the A52 to Skegness. Wrangle, whose name comes from a Norse word meaning bent or crooked, was once a port on the Wash and had a motte and bailey castle, but land reclamation has led to the sea receding away. Old Leake is responsible for some of that reclamation: the pumping station at Lade Bank lock, originally built in 1867, has been draining the surrounding prime agricultural land for over a century. The ward survived a boundary review in 2015 unchanged and its current boundaries date from 1999. In normal circumstances this is a Conservative area, but they lost one seat in 2007 to the Boston Bypass Independents – a single-issue campaign group which ended up in majority control of the council, and then fell apart. The Tories got that seat back in 2011, but then they lost one seat in 2015 to UKIP – a single-issue campaign group which ended up in majority control of the EU referendum, and then fell apart. In the 2015 election the Tories led UKIP 53-47 in votes, with the two slates winning one seat each. The Conservatives easily gained the local county seat (Boston Coastal) from UKIP in the 2017 Lincolnshire county elections. Defending for the Conservatives is Tom Ashton, a farmer from Wrangle and Lincolnshire county councillor (for Tattershall Castle division). We have the increasingly rare sight of a UKIP candidate, Don Ransome. Also standing are Joseph Pearson for Labour and Richard Thornalley for an outfit your columnist has not previously heard of, “Blue Revolution”. 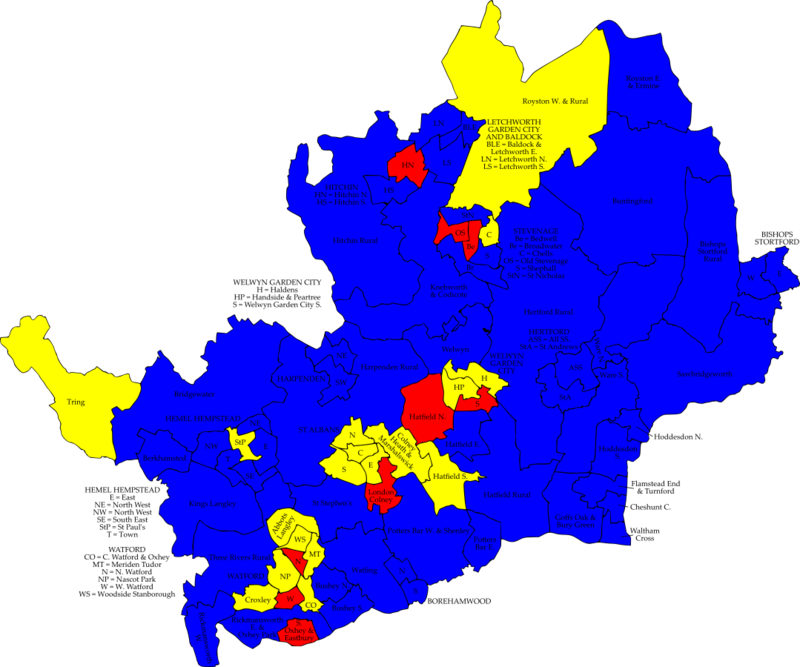 North Kesteven council, Lincolnshire; caused by the death of independent councillor Barbara Wells at the age of 83. Wells started her local government career in 1968 as clerk to North Scarle parish council, and was a governor at the Sir Robert Pattinson Academy in North Hykeham for forty years. She was first elected to North Kesteven council for Eagle and North Scarle ward as an Independent Conservative in 1991, and transferred to this ward following boundary changes in 2007. Wells was Chairman of the Council in 1999-2000 and 2006-07, and in 1997 was appointed MBE for services to education and the community. For our second Lincolnshire by-election of the week we are just west of the Lincoln built-up area. This ward of six parishes has grown strongly in population over the last few years: the village of Witham St Hughs became a parish of its own in 2000, has almost entirely been developed since then, and was based on the domestic quarters of the former RAF Swinderby. Opened in 1940 as a Bomber Command centre, housing two Polish squadrons, Swinderby was used after the war as a flying school and then for recruit training until closing in the mid-1990s. Most of the RAF Swinderby site was bought by a mining company, but no mining has ever taken place here and the main use for the former airfield site is an antiques fair. Swinderby has good communication links, located on the Fosse Way and with a railway station on the Lincoln-Nottingham line. This ward was created in 2007 and was deliberately drawn with a low electorate to allow for future population growth. A wise move: between 2003 and 2015 the number of electors in this ward grew by 59%. At the 2007 election Wells was re-elected along with Sally Appleby at the top of the Conservative slate: shares of the vote that year were 45% for the Conservatives and 42% for Wells. Nobody has challenged Appleby or Wells since 2007, so that is the last contested election here. 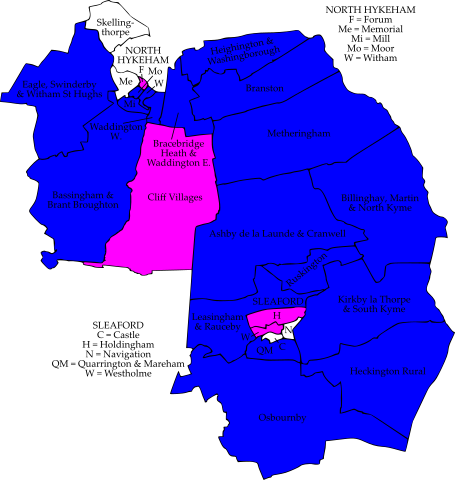 Witham St Hughs parish is within the Bassingham and Welbourn county division which is held in county hall by Marianne Overton, leader of the Lincolnshire Independents group; the rest of the ward is covered by the Tory-held county division of Eagle and Hykeham West. 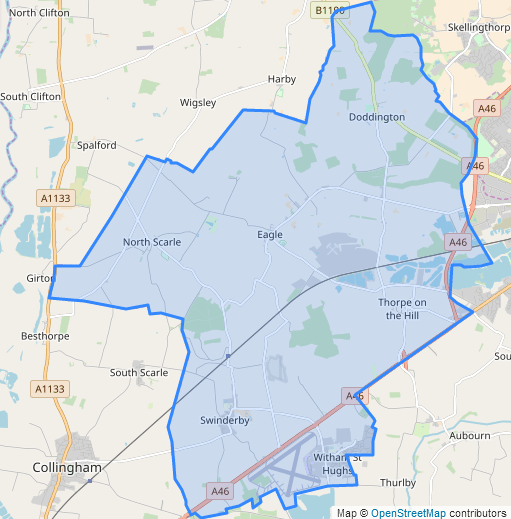 This ward is part of the Sleaford and North Hykeham constituency, which in June’s general election gave 42,245 votes and 69.9% to Caroline Johnson for the Conservatives – in both absolute and percentage terms the best Conservative performance in any constituency last June. This by-election is contested, and is a bit of a free-for-all. The defending independent candidate might be taken to be Nikki Dillon, a North Hykeham town councillor standing for the Lincolnshire Independents; she fought Eagle and Hykeham West in last year’s county elections. The Conservative candidate is Peter Rothwell, a Witham St Hughs parish councillor. Completing the ballot paper is Corinne Byron for the Liberal Democrats. 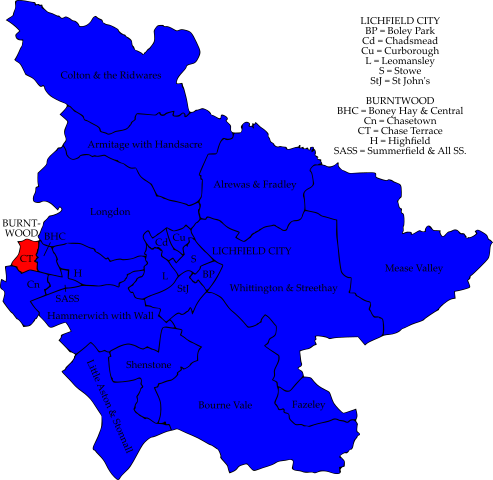 Lichfield council, Staffordshire; caused by the resignation of Conservative councillor David Smedley, for family reasons. He had served since 2007, and was also leader of the parish-level Lichfield city council. We move west to the West Midlands. Stowe is the city centre ward for Lichfield, an ecclesiastical centre since ancient times. St Chad, bishop of the Mercians, settled his diocese at Lichfield in 669, and by modern standards it was an enormous diocese – during the Middle Ages Lichfield was the mother cathedral for a huge swathe of the north midlands and the north-west all the way to the Ribble. The present cathedral dates from the 12th century and is known for its three spires. The city remained important as a coaching and intellectual centre – Samuel Johnson was from here – up to the 19th century when the Industrial Revolution largely passed it by. Nonetheless Lichfield has greatly expanded since the Second World War thanks to its good rail links to Birmingham and London. A lot of that expansion in the initial post-war period took place in Stowe ward, which runs from the city centre to the east past the reservoir of Stowe Pool and along the Burton Road. Lichfield’s two railway stations, City and Trent Valley, both lie on the ward boundary. This is a safely Conservative area at all levels of government: at the last district elections in 2015 the Tory slate led Labour here 54-27. 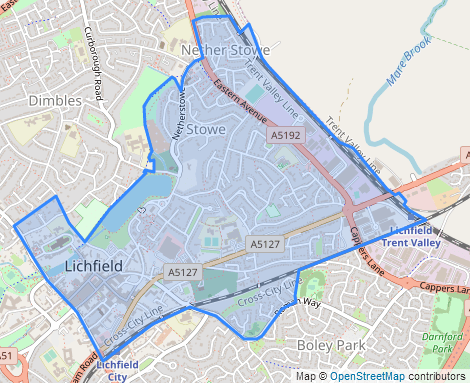 Most of the ward is covered by the Lichfield City North county division, which was Labour in 2013 (it also includes Lichfield’s most downmarket ward, Chadsmead) but a Conservative gain last year. Defending for the Conservatives is Joanne Grange, a chartered accountant. The Labour candidate is Don Palmer. Also standing are Mat Hayward of the Green Party (who fought the ward in 2015), Jeyan Anketell for the Lib Dems and Philip Peter, who also stood here in the 2017 county elections, for an outfit called “Something New”. 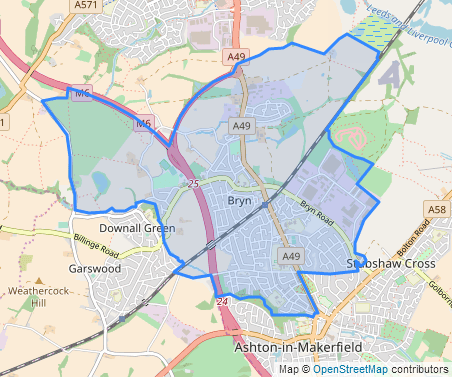 There was originally going to be a twelfth by-election today in Greater Manchester, in the Bryn ward of Wigan district – the northern of the two wards covering Ashton-in-Makerfield. This is complicated, please bear with me. At the start of January independent councillor Steve Jones had sent to the chief executive of Wigan council a postdated resignation letter, indicating to the council that he intended to resign on 20th February. Cllr Jones had recently been the subject of a number of controversies – last year he was prosecuted for drink-driving and cautioned for common assault – but did not wish to resign immediately because of his financial position. However, the returning officer’s interpretation of local government law was that Cllr Jones’ resignation could not be postdated, and took effect immediately. Steve Jones was unhappy about this decision, and decided to withdraw his resignation. However, Wigan council had already published a notice of vacancy and made arrangements for a poll to take place today. Jones was standing for re-election in that poll, but had also taken the council to judicial review. Yesterday the High Court in Manchester ruled in Jones’ favour, deciding that he had not resigned his office and issuing an injunction to stop the by-election. Wigan council and the returning officer were granted permission to appeal, but decided not to do so “in order to protect the public purse”. There is clearly no love lost between Jones and the ruling Labour group: the BBC have previously reported comments from the council leader Lord Smith of Leigh branding Jones as “unfit for office” while advising him to “seek professional help” – and it seems unlikely that the noble lord meant professional help from lawyers. Jones was sitting on a small majority of just 77 votes from the 2016 election and Labour will have had high hopes of winning the by-election. From the council’s point of view, they will have incurred significant expense in organising this abortive election: apart from the legal costs fighting the High Court action, polling stations had been hired, staff time secured and ballot papers printed. More than 750 postal votes had already been returned, and those voters will presumably be wondering why they bothered. This column isn’t particularly happy with what has happened either, having spent time researching and writing a full preview for Bryn ward which has had to be scrapped at the eleventh hour. One suspects that there may be further political and/or legal fallout to come from this particular row, and this column will keep an eye on Wigan in case of future developments. Scottish Borders council; caused by the resignation of Conservative councillor Michelle Ballantyne who is now a member of the Scottish Parliament. Ballantyne had served since 2012 and was leader of the opposition Conservative group going into the 2017 election. We finish in the Scottish borders with a ward name which recalls the administrative chaos with the Middle Ages left to the Borders area. Where there is now a single Scottish Borders council, up until 1975 there were four counties – Berwickshire, Roxburghshire, Peeblesshire and Selkirkshire. 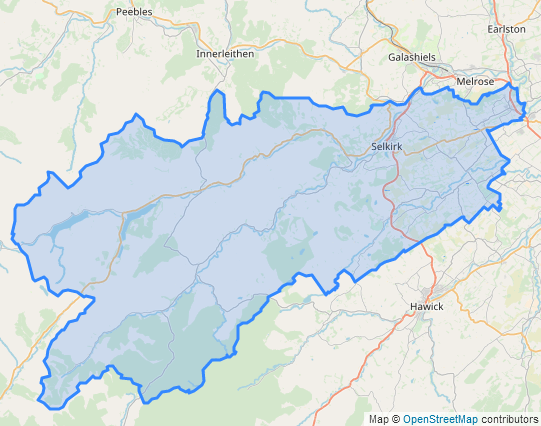 This ward doesn’t include the largest town of Selkirkshire (Galashiels), instead being based on Selkirk itself and a huge, sparsely-populated swathe of moorland – the Ettrick Forest. Selkirk is a town of fewer than 6,000 souls – although it’s doing better than Roxburgh, which has a population of zero – but has a famous name. One of Scotland’s oldest Royal Burghs, the town’s traditional industry was wool and its traditional celebration is the Common Riding, a cavalcade of over 300 riders which takes place each June. Famous people associated with the town include the author Sir Walter Scott, who in 1799 was appointed Sheriff-Depute of Selkirkshire; while the county gave us the African explorer Mungo Park and the poet and author James Hogg, who because of his humble upbringing was often known as the Ettrick Shepherd. One famous elector in the ward is the former Liberal Party leader David Steel, now Lord Steel of Aikwood, who lives here at Aikwood Tower. Steel saw his Liberal Democrats top the poll in the first election to the modern Selkirkshire ward in 2007. That was the year Scotiand introduced proportional representation, and Selkirkshire’s three seats split between the Liberal Democrats, the Conservatives and the Scottish National Party. In 2012 the SNP lost their seat to independent candidate Gordon Edgar, who started in fourth place but got transfers from another independent and the Borders Party. The SNP got their Selkirkshire seat back in the 2017 election, capitalising on the collapse of the Lib Dem vote. Again Gordon Edgar came through from fourth place to win the final seat, pulling ahead of the second Conservative candidate on the last count with transfers from former SNP councillor Kenneth Gunn, who was trying to get his seat back as an independent. First preferences were 42% for the Conservatives, 22% for the SNP and 13% for Edgar. In the 2016 Holyrood election Ballantnye had contested Midlothian South, Tweeddale and Lauderdale, failing to gain it from the SNP, and was seventh on the Conservative Party list for the South of Scotland. That placed her next in line when John Lamont, the Tory MSP for Ettrick, Roxburgh and Berwickshire, resigned in 2017 to successfully seek election to Westminster, and list MSP Rachael Hamilton resigned to successfully contest the resulting Scottish Parliament by-election. This by-election completes the resulting game of Tory musical chairs. The Conservatives are the largest party on Scottish Borders council with 14 out of 34 seats plus this vacancy, and run the council in coalition with the seven-strong Independent group; that coalition is not endangered by this by-election. Defending for the Conservatives is their unsuccessful candidate from last year Trevor Adams, a retired foxhunter with the Buccleuch Hunt. The SNP candidate is John Mitchell, who is seeking to return to the council after losing his seat in Galashiels and District ward last year. There are two independent candidates: former SNP councillor for this ward Kenneth Gunn, and businesswoman Caroline Penman who was voted Selkirk’s Personality of 2017. Completing the longest ballot paper of the week are Scott Redpath for Labour, Jack Clark for the Liberal Democrats (who gives an address 45 miles away in Cove, Berwickshire) and Barbra Harvie for the Scottish Greens. A reminder that the Alternative Vote and Votes at 16 apply here; and don’t wait up all night for the result, as the count is taking place on Friday.